You probably came here today to get some answers to questions related to spring basketball for your son or daughter. Before we get to any of that… I think we should get to know each other a little better first. So we can both get aligned with what we are both doing here today. Believe it or not, you and I should have the same agenda. THIS VIDEO TELLS YOU EXACTLY HOW IT WORKS! Will Sellout. Begins April 1st! The answer to that question is the same for me as it is for you. I want what is best for you and your child. Why else on earth would I spend this much time putting everything for this spring together for you. The only reason I still do what I do with kids and youth basketball is because I enjoy figuring out the answer to that question. What you need are the ESSENTIALS. I came to really understand that there were 2 types of AAU basketball program models. With both of the models below, the sacrifice is always quality, continuity, and value. I don’t recruit kids. Never. No tryout. We have never had a tryout. Ever. They’re kids. They’re kids that are trying to get better in the OFF-SEASON. They’re not even “recruitable” yet. No kid should get recruited and pressured by adults to play “AAU” or youth sports. EVER. But you should know what the best options are. This is where the Top players are recruited by the figureheads of the AAU program to play for free (either through sponsorships or through being subsidized by the youth players that play in the same organization). It is more based on how club teams operate overseas. With the pro team at the top of the pyramid, and a “youth club” at the base. The program isn’t developing the top players,… just recruiting and competing for the best players at the 17u level … Then younger kids and parents are most often being told a different story (or it’s being inferred) that through their participation at the “club” level, they will also be at the top of the pyramid someday. It never happens, as year after year, 17u team is recruited rather than developed. Here are several other factors that contribute to the low return on investment for everyone. The structure of “AAU” practices (2 practices a week) 5-6 tournaments. The costs for AAU tournaments entry fees and the price of admission for parents ($15-25 for the day or weekend per tournament. Plus travel + hotels + food). Often, kids only end up making half to 2/3’s of the games anyway. The sheer number of coaches who aren’t real basketball coaches. There is no barrier to entry. Anyone can do it. So everybody does it. It’s just rec basketball with different uniforms and logos. You most often have a lot of coaches within the same organization emphasizing and teaching so many different things. Every team operates independently of one another with no overarching developmental philosophy and approach. They say that they do at their meetings to parents, but then they’ll call us 2 weeks into their season and ask, “Hey, how do you train the kids?” (Yes,… that literally happened last year). We have never had a tryout and never recruited a kid, we have DEVELOPED more kids than I can list on this page from the time that they were in elementary and middle school to the time that they have gone on to become HIGH SCHOOL AND COLLEGE BASKETBALL SUPERSTARS. As in… NECESSARY! As in… SUPER IMPORTANT! As in… Don’t leave home without em! So the “fundamentals” are the essentials. (Ah, so … The Fundamental Man teaches kids the essentials). Yes… but there is something else really important that you should know. But you haven’t seen it all play out yet. More kids than I can list on this page have DEVELOPED from the time that they were in elementary and middle school to the time that they have gone on to become HIGH SCHOOL AND COLLEGE BASKETBALL SUPERSTARS. 100’s of players that I have trained have gone on to become 1,000 point scorers, Captains of their Varsity Teams, All-Conference, All-State, All-Americans. Conference Players of the Year. National Players of the Year. These are all local kids just like your child is right now. They are now 25, 26, 27, 28, 29,…. 30! Some of them even have KIDS of their OWN now. Whoa!!! Talk about March Madness. What’s most important is that I take you backward from their viewpoint… because I knew them when they were 10 years old,…. 12 years old,… before they were high school and college superstars. I know how things end up when you take different paths. I know what the most important factors are for your child to be in the best position to be successful in high school and beyond high school. Remember: What is best for your child? The answer is very simple to me now. The simple answer is: because the path that we take helps them to become better. Better players, Better students, Better athletes, Better citizens, Better kids, Better people. The kids just end up way better this way. A couple of years ago, nearly every single player that was All-Conference in the entire area did our “fundamental“ “developmental” “thingy.” AAU programs cannot compete with what we are doing in the gym to get kids better because their model is flawed. I worked very hard for many years to find a better way. If there was a better way, I would do it that way. But there isn’t. Because the ways that you are told, and the ways that are offered to you within youth basketball development are not the best answers. Over the years,… I have gone through it all, and seen it all, at the grassroots level (pretty much). So,… I thought about it. Year after year. What was good. What was bad about the whole “AAU” scene. It just became more and more clear how much the “AAU” model was broken. How much it wasn’t helping kids much. How low the short and long term return on investment was for most all of the kids and their parents. Kids would come back to us after playing “AAU” and many didn’t improve at all. Some were even worse than before. We would just want to shake our heads. Their skills didn’t improve. Shooting ball handling didn’t improve. Confidence with the ball and with new skills wasn’t there. Just running up and down the floor 5 on 5 in “AAU” club basketball is not the model that is going to improve your scoring or shooting ability. It’s a flawed model. It’s not intended for the purposes of youth player development. It was intended for high level high school juniors to play, compete and become recruited to play in college. Here is what I will tell you: You need the “essentials” in order to develop your skills and play the game of basketball better. The things that we are teaching are the essentials of the game. Year after year, we have always done it better than “AAU.” And have always improved on what we have done from each year. BUT I HAVE TO TELL YOU: It’s never been as good as how we are doing it now. The intention behind this new model was to take into account all of the variables to make everything better and easier for you so that it works with your schedule and so you and your child receive the absolute best experience. 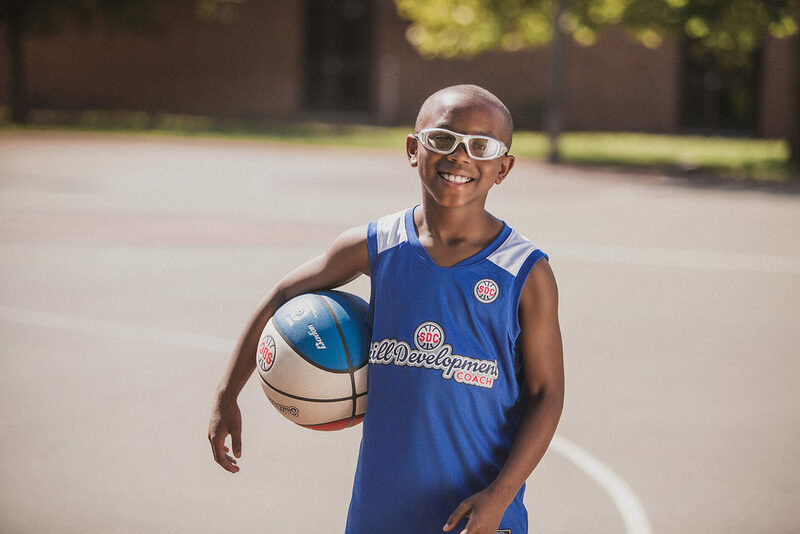 We teach the essential concepts and skills to kids in a format that is organized, structured, teachable, learnable, and palatable – so that the players that we work with continue to move their skills forward, learn the game, and play way better basketball. THE DECIDING FACTOR IS WHAT WE DO IN THE GYM! 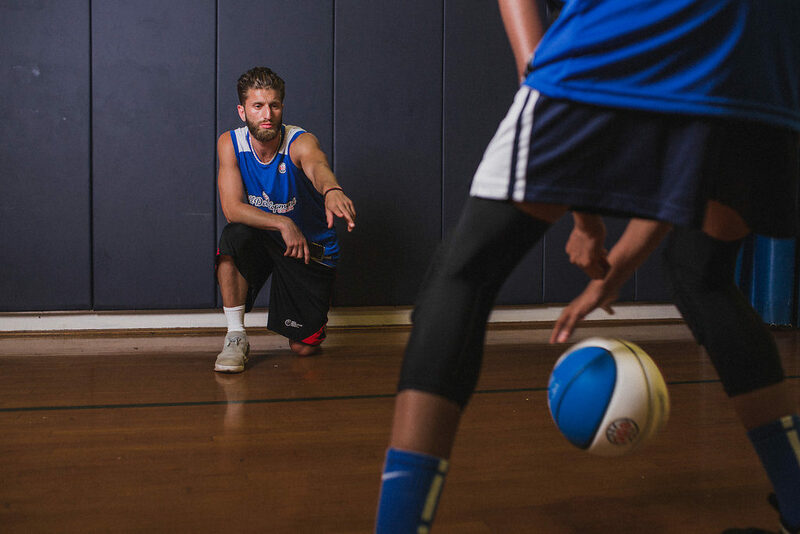 The purity of the game is in the gym. I still love being in the gym and working with the kids. I still love helping the kids get better. That is the purity of the game. That is the where it all happens. That is where parents and players find out that they BENEFIT THE MOST! That has always been the case. That is also what parents and players realize about the the kids that work with us. That is what they get the most out of. That is the deciding factor in what makes the biggest difference for the kids. That is the MISSING PIECE! I piloted this new Player Development Concept last year with 80 kids. It was $1,000 / kid. Made it 3 payments of $335 (very affordable… but it was a trial)… let’s see how this goes. No ages. No teams. Just train as much as you want to get better. We sub-grouped the kids into 3 different tiers of instruction. Which makes basketball instruction more like teaching martial arts. Continuity. Groupings. Structure. IMPROVEMENT! (Amazing improvements)! Kids are all visual learners, so we use video every night to help the kids understand the techniques, while getting thousands of reps with feedback to constantly improve. The system of player development instruction is perfectly coordinated to match their current level of ability, meet them where they are, and move them forward incrementally. Everything is connected. Everything is progression based. Skill based. Assessment based. Very technical. It’s all implemented into a crystal clear curriculum of challenging (but fun) player development progressions. Clear visual progressions, techniques, reps, and feedback. The best way for kids to learn. The kids see the techniques all on video first. THE KIDS ARE OFF THE CHARTS WITH THEIR SKILLS AND THEIR IMPROVEMENTS IN 10 WEEKS. KIDS come as much as 4 x per week! (90 Minute sessions every night). 90 Minute sessions every night. The kids graduate from one level to the next. We also reserve a gym for certain Saturday’s and hire certified officials. Each group of kids plays 1 game on Saturday. The games were so awesome because they were playing against each other, and it was a chance to showcase their skills in front of their parents in a much less stressed out environment than these AAU “RUGBY” games. It’s REAL kids playing REAL basketball. The kids. Parents. EVERYONE. LOVED IT!! The value that was received by the kids, the flexibility of being able to jump in and out of workouts. The responses from the parents were phenomenal. For 10 weeks straight,… kids can come as little as 2x per week or as much as 4x per week… (some kids came every day)… ALL FOR THE SAME SWEET PRICE. If kids had lacrosse or baseball, or track, or played a spring sport,…. (even if they wanted to play AAU for some other program)… They could train with us any night of the week,… and they were all in with 1 cost amazing price). Every kid also received $2,000 in guaranteed college scholarships, and is part of our character development module. THIS IS THE REAL PLAYER DEVELOPMENT MODEL! Way better than the”AAU” REC Model or The “AAU” Pyramid Model, or anything else out there. HERE IS WHERE YOU REGISTER TO HAVE THE MOST AWESOME BASKETBALL EXPERIENCE OF YOUR LIFE!